Unidentified gunmen have shot dead an Indian author in the eastern Afghan province of Paktika, police say. Sushmita Banerjee, the writer of a popular book about her dramatic escape from the Taliban in the 1990s, was shot dead on Wednesday night, police announced on Thursday. “We found her bullet-riddled body near [a religious school] on the outskirts of Sharan city [Paktika’s provincial capital] this morning,” provincial police chief Dawlat Khan Zadran told the AFP news agency. 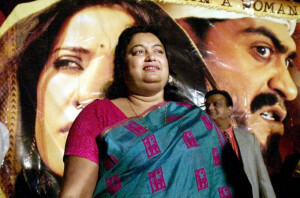 Banerjee, 49, was a fairly well-known writer whose book Kabuliwala’s Bengali Wife, about her escape from the Taliban was made into a Bollywood film in 2003. Police on Thursday said that the book may have been the reason she was targeted, saying they had spoken with her husband. “Our investigation […] indicates that the militants had grievances against her for something she had written or told in the past, which was then turned into a film,” the provincial police chief said. “She had been shot 20 times and some of her hair had been ripped off by the militants,” Zadran said. She was married to Afghan businessman Jaanbaz Khan and had recently moved back to live with him in Paktika province, reportedly to run a health clinic there.